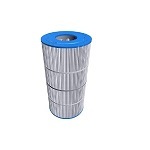 The Coleman brand offers exception pool and spa filters, among many other superior products. 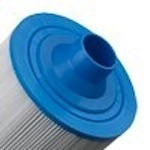 Filters Fast is a leading provider of various pool and spa filters to suit your water purification needs. The Coleman brand offers exception pool and spa filters, among many other superior products. 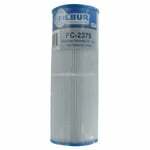 The Filbur FC-3320, Coleman 75 Pool & Spa Filter replaces Unicel part number C-8475 and Pleatco part number PCS 75N. Also known as part numbers FC3320, C8475, and 100594. The Coleman Spas 100520 Comp. 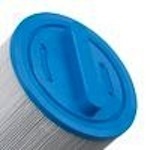 Spa Filter Cartridge is a spa filter cartridge measuring 7" x 8" with a 2" MPT bottom style. Boasting a closed top hole with a bar handle top style, this spa filter replacement features 32 square feet of media area. 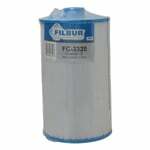 The FiltersFast FF-0430 is the correct replacement pool and spa filter for the Coleman 5 x 13 R.